Glamis Hall for All was taken into community ownership in 2014, to expand on day centre services the Council could no longer afford to run. 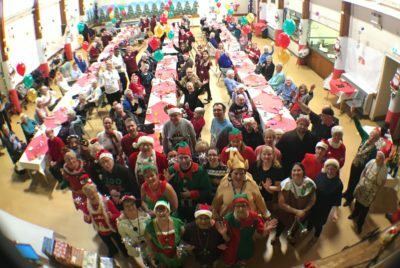 Glamis Hall has transformed from a day care centre for the elderly into a thriving community hub in Wellingborough, mixing the young, the elderly and the disabled all under one roof. The centre generates income by hiring out space, running events, youth and sports clubs, and running the day care centre, but at a much more affordable rate. In 2014, the Borough of Wellinghborough decided to close the day care centre at Glamis Hall, a community centre on the Queensway Estate in Wellingborough, Northamptonshire, as it was making an annual loss of £170,000. A group of local people campaigned for 8 weeks to try and keep it open and got over 10,000 signatures on a petition. The council was unable to keep the centre going, but instead sold it to the newly formed Glamis Hall for All for £1. Now it consists of an affordable Day Centre for the over 50s known as the ‘VIP club’, a large hall with a kitchen and servery, a community meeting room, and sports changing rooms. As well as running Glamis Hall for All for the elderly and infirm, the centre hosts a youth club, a football and badminton club, community events and hires out rooms to generate income and subsidise the day care centre. A £182,500.00 grant from Power to Change through our Community Business Fund is helping them buy two electric cars to transport people from with the borough to Glamis Hall, to increase their fleet to 6 cars. 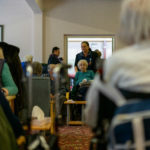 This is an essential part of their service as the people they transport are unable to access the community transport (Wellibus) due to being very frail or suffering from dementia and other conditions. This service ensures that over 150 elderly people per week are not socially isolated because they are able to spend their days at Glamis Hall. 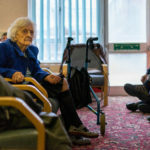 It also helps them to remain healthy in their own homes as the trained care staff will notice changes in their behaviour, both mentally and physically, and are alert relatives to get them to a GP for early medical interventions and regularly prevents hospital admission. 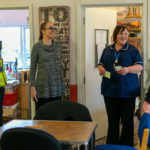 People are referred to the Glamis Hall day centre by local GPs and other medical and social professionals who recognise the importance of the service they provide. 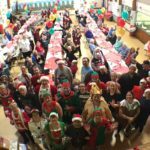 People from the local community are able to volunteer at the day centre or at any of the youth activities they provide after school and in the school holidays. Glamis Hall for All has 10 trustees who all live within a 2 mile radius. Volunteers sit on the Board of trustees sub-committees which shape the way they run their various services. Glamis Hall for All have a day centre committee, a youth committee, a buildings committee and a fundraising committee. These committees meet regularly at various intervals, depending on need. They also get regular feedback from day centre users, and formally evaluate any courses they run such as cooking classes for young people.